You are here: Home / Blog / Blog / Which ad sizes work best for online ads? So, now you know there is an opportunity here for you to take advantage of. Next you need to design your ads at the various sizes Google requires. That is a lot of different ads to design so here’s some inside stats on which ad sizes work best. These results are from a recent campaign where we managed to attract an average 1.0% – 1.8% CTR at an average cost-per-click of $0.18 which is pretty good especially compared to the click prices of text ads in this market. The ad size that received the most clicks by far was the 728 x 90 ad size. The second best ad size was 300 x 250. So make sure you send those ad sizes to your graphic designer. You could even start with those sizes to cut down on costs and then expand your campaign to include other ad sizes once you have found high performing ads. I would suggest split testing 2 or 3 different ad variations at the 728 x 90 and 300 x 250 ad size. Find your winning ad, and then scale up your campaign from there. 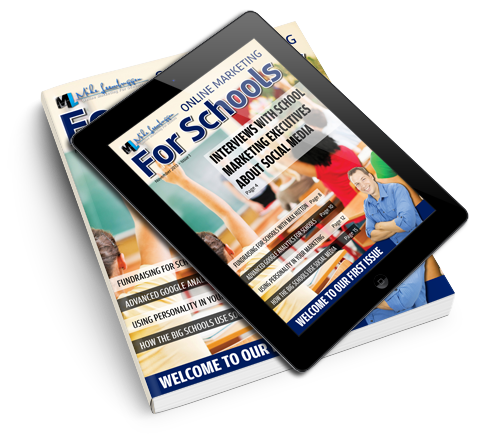 If you would like more training on how to best optimise your online ad campaign please send an email to mike@onlinemarketingforschools.com and visitwww.onlinemarketingforschools.com to see all our available online marketing execution plans. Also, download our mobile app on IOS and Android for easy viewing of our latest tips and techniques.